"Your job is to take care of everyone else's smile, let us take care of yours!" 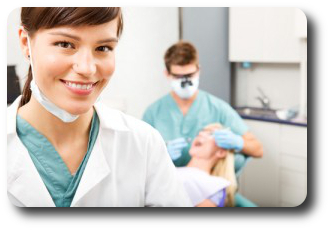 DenTemps has been North Carolina's Premier Dental Staffing Agency since 1994. Whether you are a practice with a schedule to fill or a highly skilled Dentist, Hygienist, Assistant, or Receptionist wanting to fill it, DenTemps is ready to serve. At any time. We are HERE and answering your calls 7 days a week, 6:30 am until 9 pm! DenTemps provides support on a planned or emergency basis and can guarantee a Den-Temp of the highest caliber. If you are not happy with your Den-Temp we will refund our daily fee! Please call us day or night! We are here to support your very important schedule and we truly understand that only happy clients come back. For over 2 decades, DenTemps has provided North Carolina with top notch Den-Temps and permanent dental staff. We have earned the best reputation in the dental field and we are proud of it. Each Den-Temp is screened, vetted and interviewed Face to Face to make sure that only the most qualified, friendly and adaptable professionals are placed in your practice. We evaulate and train each Den-Temp's soft skills during their onboarding process with us. We keep track of every Den-Temp that we place and we aim to assign your favorite Den-Temp first. We put our time and attention into learning the details of your practice and we strive to only send Den-Temps who we believe will reflect your practice's vision. 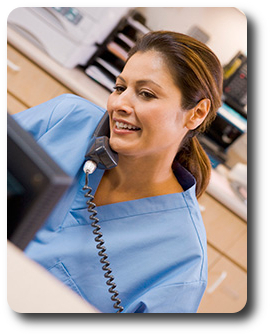 We understand that patient satisfaction is your number one priority AND we make it ours too. Dental Receptionists and Office Managers! Dental staffing is available everywhere throughout North Carolina and even over the border into Virginia, South Carolina and Tennessee! Give DenTemps a call today and see for yourself why Dental Practices throughout the state have consistently put their trust in us for help with their staffing needs. Our coordinators are standing by, ready to answer your call with a smile. My staff and I would like to thank you for your excellent help. Whenever we've needed a temp, you've all been so helpful and prompt. Keep up the good work! It has been great to have hygienists, assistants, and administrators to utilize during times of illness, vacations, and maternity leaves. DenTemps has always been attentive and professional. They always go the extra mile to help, even when it's last minute. Some of the temps have been such a good fit with our practice that they are now a permanent part of our team. Thanks for being there and doing such a great job! DenTemps always welcomes new Den-Temps! If you’re are a skilled dentist, hygienist, assistant, or receptionist looking for temporary, permanent, or "temp to perm" work in North Carolina, come join the DenTemps team! Interested in temping? We work with your availability! We provide the flexibility to build your own schedule. Work whichever days are convenient for you! You can work part time around your personal plans or you can work up to 6 days a week, Monday-Saturday. We have a ton of diverse jobs available for each day. Feel free to accept as many assignments for the week as you’d like, or choose to take the day off with no obligation. We have a detailed interview process in which we take your preferences & strengths into consideration. We strive to place our Den-Temps in practices where we feel they will excel. Often, we are a first resource for a practice seeking a permanent employee, thanks to the long standing relationships we’ve built. We are frequently contacted by practices requesting our help with finding permanent Full-Time and Part-Time employees. We’re here to send out resumes, help facilitate interviews, provide references and be a support system to our Den-Temps while they search for a position that fits their needs. Our offices trust our judgement and ability to send them qualified Den-Temps who will be a contributing addition to their team. Apply for a position in your field with confidence, knowing that your relationship with DenTemps puts you ahead of other applicants! Temping allows Den-Temps the flexibility of working with different types of practices and finding their likes and dislikes without the commitment of a permanent position. We provide the opportunity for hands on experience in Periodontics, Endodontics, Orthodontics, Pediatrics, Cosmetic, Family and General practices so that you may decide which type of office you prefer. We have found that Dental offices are happy to hire people who have previously temped because they have a wider range of skills. This puts Den-Temps at a distinct advantage due to the experience of working in multiple offices and getting hands-on experience with various systems, procedures and types of staff. Join the ranks of the Professional Dental Temporary! Many of our Den-Temps choose to temp Full-Time as opposed to accepting a permanent position because they enjoy the freedom and flexibility of creating their own schedule. We have Den-Temps who have worked with us for years who takes advantage of the opportunity to be financially independent while varying their work environment. A Den-Temp may wish to work in a fast paced office one day and a smaller office the next. Temping full-time is perfect for those who like variety in their routine. Whatever your long term goals may be, DenTemps is the premier staffing and referral service to help you to achieve them. We are consistently the number one choice among offices to help with their staffing needs. Join the DenTemps team and let us help you get a head start on your career! We need your credentials to start! Please email, fax or snail mail a copy of your paperwork. Once we have received all your paperwork, we can schedule an interview. Click one of the following Dental Professionals for a list of the required paperwork. Your current CV in a text editing format i.e. Word doc, Google doc, text document. A copy of your social security card. If none is available, then send a copy of your passport or birth certificate. (If you do not send your SS card, then we will need to know exactly how your name reads on it.) You can also scan and email but please do not fax this document. Your Alien Registration Receipt Card (green card) if you are a lawful permanent resident. You can also scan and email but please do not fax this document. Your current driver's license. You can also scan and email but please do not fax this document. A copy of your Hepatitis B immunization records from your doctor's office or health clinic. Names and contact numbers of two or three professional references (former employers, instructors, etc. No friends or relatives, please). We would prefer to talk to these references, so please include their email & phone numbers, if possible. 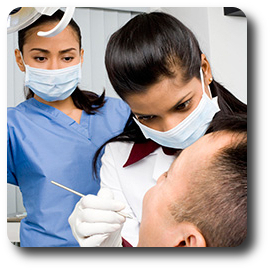 A copy of your current North Carolina dental license renewal. Please send us your renewal annually. A copy of your malpractice insurance. A copy of your 1 hour OSHA annual update for the current year. Front and Back of you CPR card from a hands on course. We do not accept an online course. Your current resume in a text editing format i.e. Word doc, Google doc, text document. A copy of your current North Carolina hygiene license renewal. Please send us your renewal annually. . Your DANB certificate, if you have taken it. Your diploma from an ADA accredited school, if you have graduated from one. Record of your completion of a three hour course in dental office emergencies. Nitrous certificate, if you have it. Thanks for being so good to me. I appreciate you all keeping me busy! You can work the days that fit your schedule - as little or as much as you want. 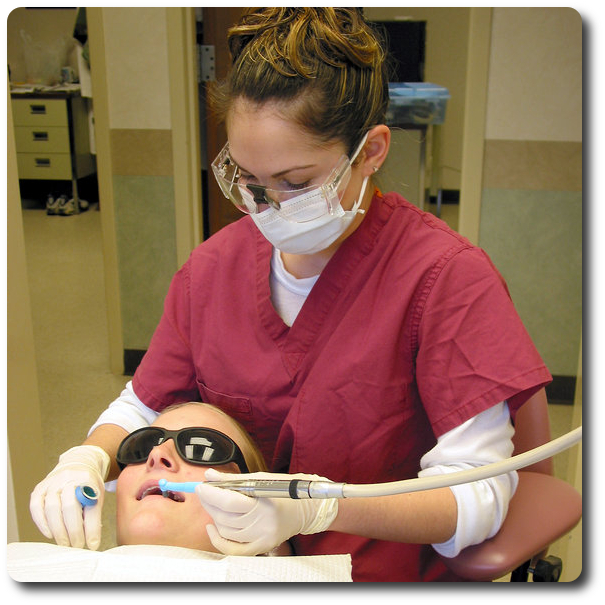 DenTemps, Inc. was founded in 1994 by Melanie Perrachon, a registered Dental Hygienist. We pride ourselves on having inside knowledge of the dental world and truly knowing the needs of your dental practice. Communication is one of our highest priorities and we train, and continue to train, on it regularly. DenTemps has the most trusted reputation with both Dental Practices and Den-Temp professionals. We are here to support your business and make you happy! We work on finding the best coverage for the office as quickly as possible. We have coordinators working on requests around the clock. We have coordinators in our office, answering phones and booking assignments until 9pm every night during the workweek. We have added a new shift on Sunday. We are actively answering calls and working on your needs until 9pm. We can reach temps when they are not working and get your job orders filled even faster so that you don’t have to worry about your packed schedule. We are working on Saturday mornings so that you can reach us immediately. Not just on-call, and not only checking messages, but answering the phones and actively booking jobs. DenTemps’ underlying principle is that we can always be striving for improvement. This is our guiding vision and we are continually looking for ways to better serve our clients in every aspect; from the tiniest details to the big picture. We want to be the very best that we can be! We strive to provide new and better services at a faster pace, while keeping you, our Client, happy! Thank you for all the help you have given us. We couldn't have done it without you! You and your staff are very special to us, and it's very comforting to know you are there with help if we need you. Thank you for your hard work...I've enjoyed working for you these past few years!